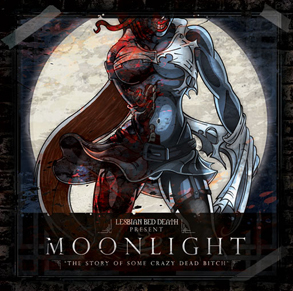 Lesbian Bed Death: 'Moonlight' single now to be released Mon 4th April. 'Moonlight' single now to be released Mon 4th April. Our single 'Moonlight' has had it's release date put back by one week. It will now be out on Monday 4th April worldwide, and available from Amazon, I-Tunes, Play.com and all of the usual places. Sorry for the delay, and we hope you enjoy it.